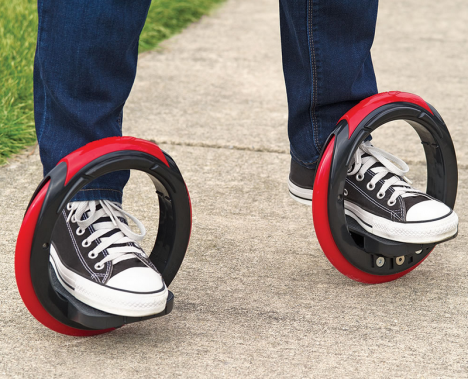 Dubbed a ‘Postmodern skateboard’ by its creators, these sidewinding circular skates are more portable than a skateboard, easier to slip into and out of than inline skates. Certain tricks are trickier to be sure, but spinning in circles is easier than it would be for most on rollerblades or other skating devices. Thick rubber tires also make it possible to skate over grass and other non-uniform surfaces. 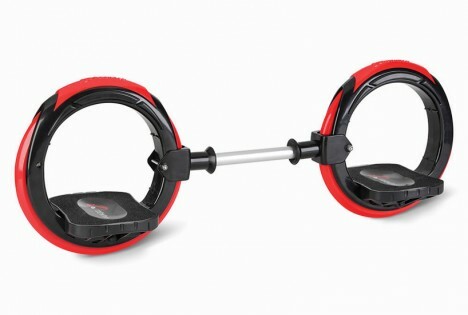 A given pair of skates can also be connected for a rod for a more hybrid skateboarding-style experience. Hammacher schlemmer is known for its unusual creations, but this one is surprisingly practical – at least if you can get the hand of its use. Each skate can support 200 pounds of weight so you can shift and move accordingly. 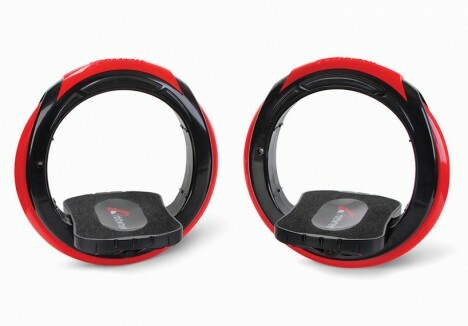 For $100, though, they may be cheap enough to give a go even if you are not quite sure of your coordination.